This originally Gothic church was built during the 14th century on the site of an older church. The Gothic St George chapel is of the same period. The tall slender tower of St Jacob from the first half of the 19th century is the most distinct feature in the city's silhouette. Especially precious is the interior of the church, which is in fact a unique museum of medieval sacral art. The Late Gothic main altar of St Jacob at a height of 18.6 m is the tallest of its kind in the world. Made of lime wood in 1507-1517 in the workshop of Master Pavol of Levoča the carving, by the Master himself, is of extraordinary high artistic value, whilst the board paintings are attributed to the painter Hans. Part of them is based in the patterns of the wood carvings of Lucas Cranach. There are another thirteen lateral altars in the church, eight Late-Gothic, two Renaissance and three Baroque ones. The collection of Gothic liturgical objects and a Baroque monstrance by the Levoča goldsmith Ján Szilassy is also of immense value. Set in the scenic Spis region, Hotel U Leva, a restored medieval family hotel, is centrally located right on Levoca’s Main Square and offering landmark views. Ranked among the most important architectural sights not only of Levoca but also of Slovakia, this hotel is situated in historic Levoca’s main square close to St. Jacob’s Church. Hotel Arkada is situated in a historical building from 14th century set directly on the main square Námestie Majstra Pavla in the centre of UNESCO-protected town of Levoča. The hotel offers rooms with square views or inner courtyard views. Housed in a 14th-century building in Levoca's centre, this boutique hotel offers a unique view of Marianska Hora and the Basilica Minor, a pilgrimage site. 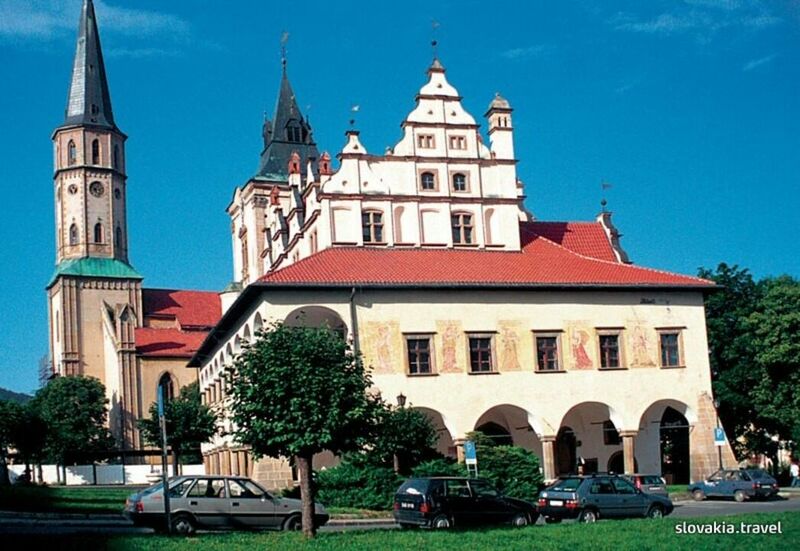 Situated in Levoca, this hotel is close to St. James Church, Slovak National Museum and Levoca Old Town Hall. Regional attractions also include Spissky Castle and Prielom Hornádu. Penzión Oaza is located 150 m from the center of Levoča. Free WiFi access and free private parking are available. Located in Levoča, Penzión Villa Fam has barbecue facilities and garden. Located around 17.7 km from Spis Castle, the guesthouse with free WiFi is also a 12-minute walk away from St. Jacobs Cathedral in Levoca. Townhall Levoca is 1 km away.